Flatbed trucking is used for a multitude of purposes and whether you are a small business owner, construction professional, or just a homeowner with extra materials that need to be moved, you might find yourself needing a flatbed truck one day. So just what can a flatbed truck be used for? In this post, we’ll introduce you to three common reasons to use a flatbed truck. Removing Scrap Metal: Do you have a lot of scrap metal that needs to be taken off your property? The best way to do that is with a flatbed truck. Loading and unloading bulk amounts of scrap metal is far easier to do on a flatbed truck than it is on any other vehicle. When you hire flatbed trucking professionals, they can remove the scrap metal from your property and take it to a recycling facility, saving you time, effort, and money. Transporting Building Materials: Flatbed trucking is ideal for shipping building materials and large pieces of construction equipment. Instead of trying to move building materials in a truck or small vehicle and being forced to take multiple trips, get everything transported in one go. Additionally, a flatbed truck is designed to ship heavy materials including steel beams, concrete, and brick. Moving Baled Tires: In order to combat a buildup of hazardous waste materials, baled tires are created to make moving tires easier. One bale is made of 100 tires and weighs about a ton. Obviously, that’s impossible to lift, load, and transport unless you have the right equipment. 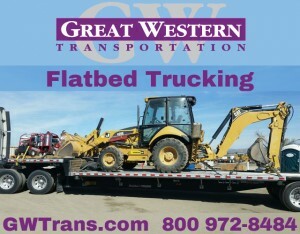 Fortunately, flatbed trucks are designed to be able to withhold that kind of weight. If you own a junkyard with plenty of tires laying around, the best thing you can do is have them converted into bales and shipped off on a flatbed truck. 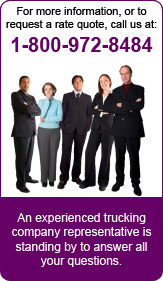 Want to learn more about the benefits of using a flatbed truck? Contact us today!